Ocean Park has confirmed that Ying Ying the giant panda has lost her baby in a miscarriage on Wednesday. 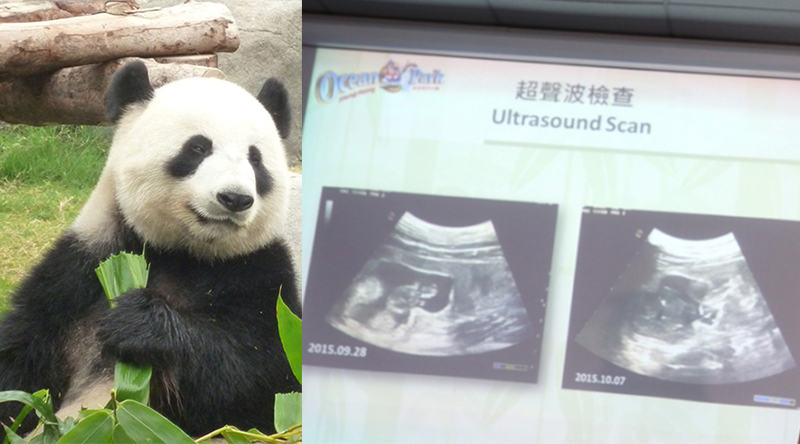 Ocean Park veterinarian Dr Lee Foo Khong confirmed at a press conference that an ultrasound scan this morning showed the foetus had stopped developing and had been reabsorbed by the panda. 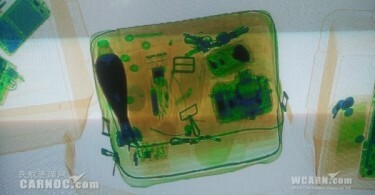 “[The foetus] is breaking down and no heart beat was detected. I think that confirms the pregnancy is no longer viable,” he said. The reason of the miscarriage is not known yet. “We have tried to breed her for so many years, and we looked at every aspect…we don’t think she has any sickness that has impacted this pregnancy,” he added. Ying Ying the panda, and the ultrasound scans. Photo: Apple Daily & Ocean Park. Executive Director of Zoological Operations and Education Suzanne Gendron said that a giant panda’s reproductive cycle is once a year. 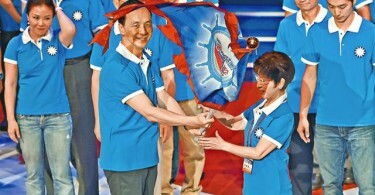 “There will be another opportunity for Ying Ying in spring [or] early summer of 2016, as we have monitored. That would be the next time she would likely come through the cycle so that she can get pregnant,” she said, adding that such an incident was new to the team. She said that Ocean Park will communicate with State Forestry Administration of China, the Forestry Department of Sichuan Province, as well as the China Conservation and Research Centre for the Giant Panda in Wolong. 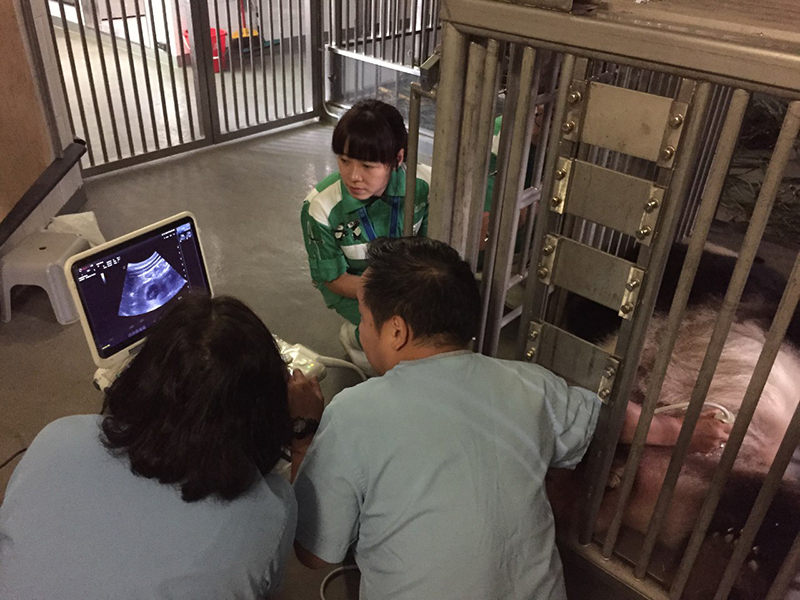 Ocean Park veterinarians examining Ying Ying’s ultrascans. Photo: Ocean Park. Ocean Park announced that Ying Ying was pregnant on October 1. She had been expected to give birth within a week after the announcement. The 10-year-old panda participated in a breeding programme in Sichuan earlier this year and successfully mated. It was to be the first pregnancy for a giant panda in Hong Kong.